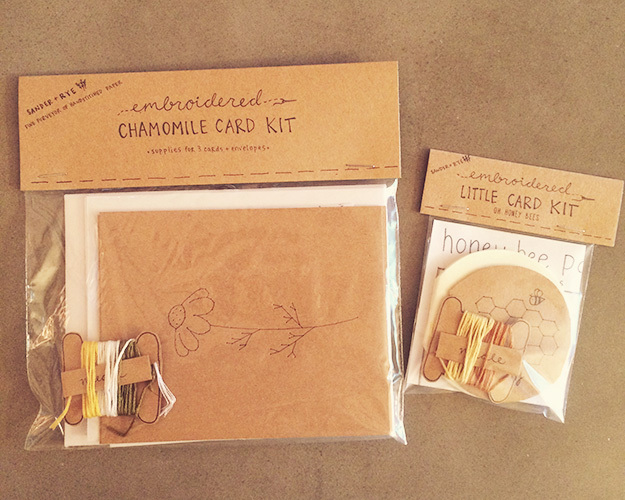 What a sweet spring gift- little honeycomb treats wrapped up with a handmade bee card. This entry was posted in Finds, Make, Shop and tagged Baking, bees, card, diy, embroidery, gift, handmade, honey, honeycomb, sander and rye on April 19, 2016 by Chelsea. You will all be pleased to know that I finished his stocking with a day to spare! Unfortunately, baby’s first Christmas Eve coincided with baby’s first cold. But I know we will always remember taking turns rocking him back to sleep that night, and being the first ones up to see the Christmas sun and drink hot chocolate. Little guy was such a good sport about all the present opening and photos, and he made the holiday so special, runny nose and all. 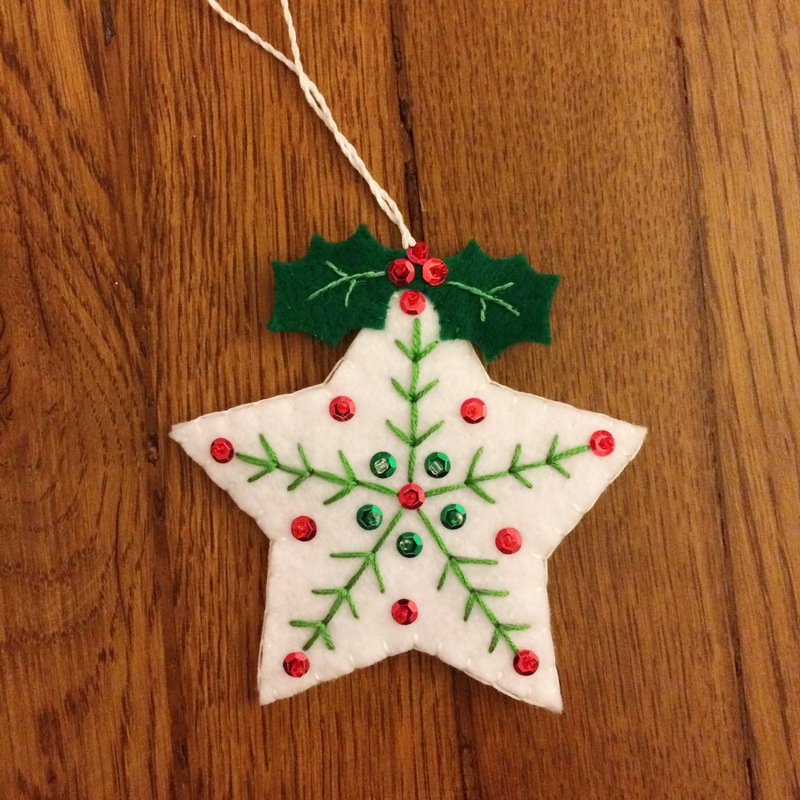 This entry was posted in Life, Make and tagged baby b, Christmas, diy ornament, embroidery, felt, holiday, ornament on January 14, 2016 by Chelsea. 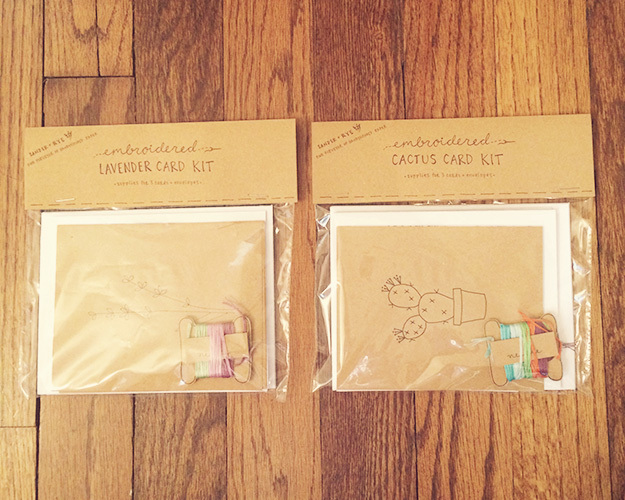 The cactus cards are so popular, so I made more to go around in the form of gift tags. Wrap up a fun summertime gift, and add a sunny cactus tag. Find them now in the shop! 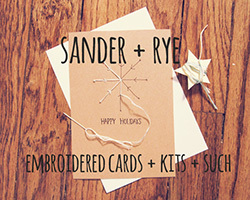 This entry was posted in Shop and tagged cactus, diy, embroidery, etsy, gift tag, handmade, kit, sander and rye, succulent on June 3, 2015 by Chelsea. 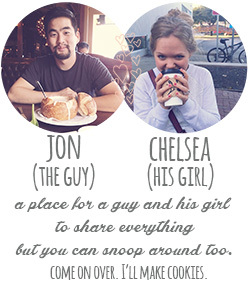 I think Jon’s birthday will be robot themed this year. Little robot gift tags hung together in a banner, over a cake shaped like an iPad. These little guys seem like the friendly sort of robot, so you can trust them to guard a cake. Get them now in the shop! This entry was posted in Shop and tagged craft, diy, embroidery, etsy, gift tag, robot, sander and rye, space, Technology on May 20, 2015 by Chelsea. 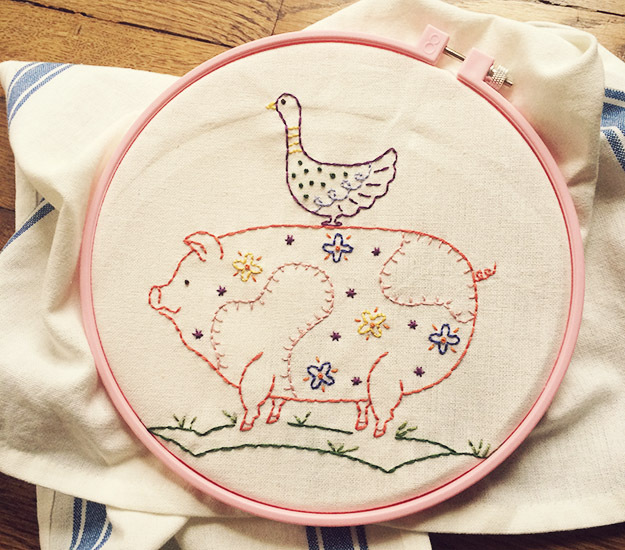 I love this embroidery pattern. I feel like its says- you are my best friend and you are always there for me- but with farm animals instead of words. I started this pattern while I was sick the other week. I still like to feel at least a little productive while I’m stuck on the couch. It reminded me of my younger sick days, and I would cross stitch while watching movies. Its just enough project to keep you busy, but not too much that it makes your fuzzy head hurt more. This entry was posted in Make and tagged create, dishcloth, diy, embroidery, embroidery project, make, sew on May 19, 2015 by Chelsea. Time for spring soirees and summer picnics. Whatever the occasion, these bunnies are party ready in their fancy dresses. I’m going to make a banner out of mine, and then host an afternoon tea. Find them now in the shop! This entry was posted in Shop and tagged bunny, create, diy, embroidery, etsy, kit, make, rabbit, sander and rye, sew on May 14, 2015 by Chelsea. 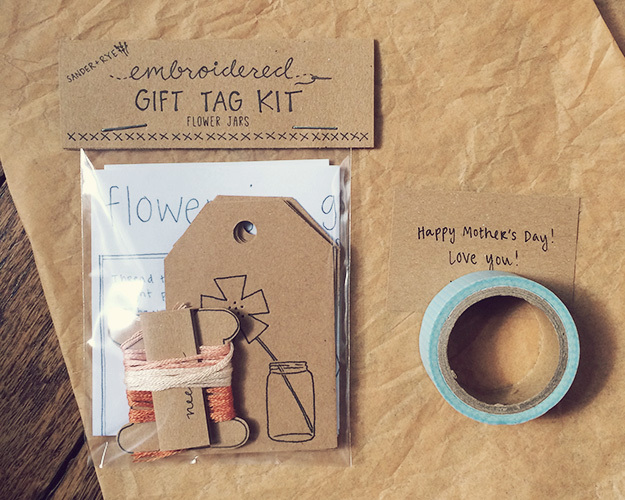 Between naps, I’ve been packaging up lots of Mother’s Day orders. Flower cards for everyone. There is still time, especially with quick mailing, if you need a last minute gift! This entry was posted in Shop and tagged card, craft, diy, embroidery, etsy, flowers, gift, mothers day, sander and rye on May 6, 2015 by Chelsea.